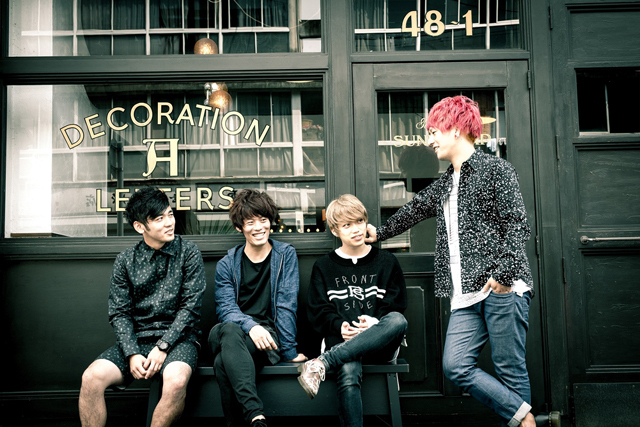 Limited Sazabys was formed in 2008 in Nagoya. They had shared stages with many bands in the genre of guitar rock and melodic punk until their third album “monolith” topped in Oricon indie chart and won “the annual 7th CD shop Award” in Tokai area. The first full album “CAVU came out on April 1st 2015, ranking 6th in Oricon chart. The tour “CAVU tour 2015” went to as many as 33 venues and the band hit various major festivals and events. Vo.GEN’s voice reaches high range just like he’s still a boy and the melody is super catchy. The stage presence is impressive and when they talk on the stage, it’s recklessly fun. That’s what attracts so many fans to Limited Sazabys.